Only a few days ago, Tencent games released the PUBG Mobile 0.11.0 beta version online for both iOS and Android phones. Before this, the game maker had released the stable version of the 0.10.5 PUBG Mobile which brought many improvements, skins, weapons and vehicles to the game. However, this latest beta update of PUBG Mobile was a much-awaited one because it brings the Resident Evil 2 collaboration on board along with the zombie mode. Usually, it is the case that PUBG Mobile beta versions are just improvement updates over the previous version which fix some bugs. However, that it is not the case this time as users who download the PUBG Mobile beta version will get to experience the zombie mode first hand. A few weeks ago, the Resident Evil 2 was launched for PS4, Xbox One and Windows PC and PUBG Mobile collaborated with the game to bring the much popular zombies from Resident Evil to the PUBG Battleground. This move has got all the PUBG players excited. We noticed that the beta version of PUBG Mobile 0.11.0 comes in a 1.7GB package. Also, the zombie mode on the game has been set on the part of the Erangel map. To play the Resident Evil 2 collaboration on PUBG Mobile players will have to access the Raccoon City Police Station in the player lobby or spawn island. Although this piece feels like a forced inclusion, it’s still interesting because it is also the gateway for the players to access the Resident Evil 2 association on the map. We also found out that instead of the usual limit of 100 maximum players, the beta only allowed for a maximum of 60 players, but this might not be the case in the final release, which we expect to come with the usual limit of 100 players. During the gameplay, we also found that we did not have to look far for a firefight as many zombies present on the map were eager to kill. 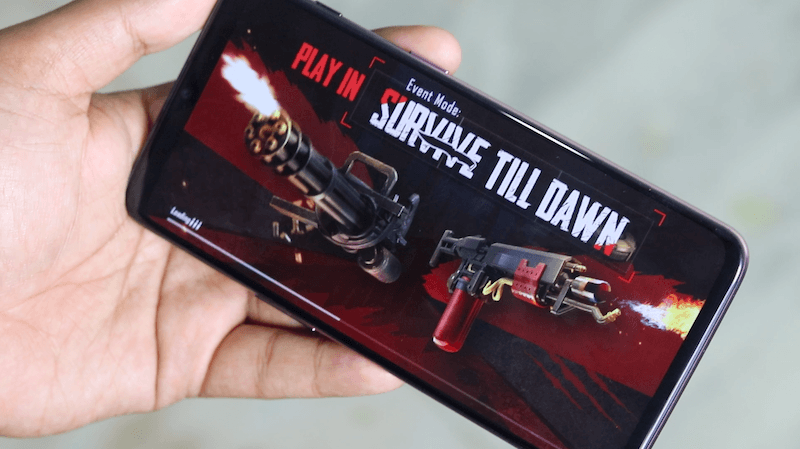 A detail which we paid critical attention to is the recreation of zombies on PUBG Mobile, which we believe Tencent has done with intense detail. The game maker has recreated the Resident Evil 2 zombies similar to the original ones right down to their hand movements. The classic bosses like the Tyrant with its hat are also present, and even that one imitates the move from Resident Evil 2. The short range attacks and other movements of the Tyrant have also been brought to PUBG Mobile very accurately. Although the common PUBG players will easily dismiss these details, it is nice to know that Tencent has paid meticulous attention to the details of the Resident Evil association. More additions to PUBG Mobile 0.11.0 include the day and night cycle wherein players will know when the gameplay is transitioning from dawn to dusk and vice versa. Like one would expect, there are going to be more zombies during the night time which will make survival tougher. However, if you collect enough ammo, health packs, and other gear, then you can use them to take the zombies down. The usual hazards of PUBG Mobile like the shrinking map and human opponents remain in their place. During our testing of the PUBG Mobile Beta version, we found that we had to turn on the squad feature to pair up with three more players to increase our chances of survival. We also found that because of multiple threats in the gameplay, navigating was easier with the squad than alone and even defeating the monsters like Tyrant was an easier endeavour. Even with a low player count, the gameplay felt hectic because there were too many elements in the game. We expect that when the game makes its way to the stable version, then the zombie mode will finally force the players to turn on the squad feature. We can also imagine players unmuting other players, so they will be able to better coordinate on the map. Although Tencent has not announced when it will be rolling out the PUBG Mobile 0.11.0 update with zombies, according to Tencent’s previous update timelines, we expect it to land sometime in next week.